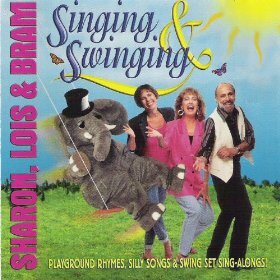 Looking for a funny campfire song for the whole family? Here are The Cat Came Back lyrics. There are numerous versions of this song. Some have verses that are too bloodthirsty for my taste - especially for a just-before-bedtime singsong! 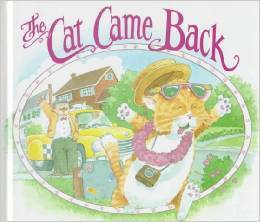 I like the Cat Came Back lyrics used by Bill Slavin in his wonderful illustrated book. I first learned The Cat Came Back years ago when I was working at a daycare center. The children loved it! When I had children of my own, I taught them the song. It became a family favorite. It's just the thing to sing around the campfire! He had a yellow cat that wouldn't leave his home. He found an ocean liner going far, far away. he just wouldn't stay away. He said, "Please take this cat and leave it on the moon." The balloon came down about ninety miles away. He said, "This cat's a present for the one you love the best". They lived with Mr. Johnson till there came a cyclone. Here it is! Download it right now and you'll be singing along in moments! This is a very old song! It was written by a man named Harry S. Miller and published in 1893! A filmaker named Cordell Baker made a seven minute animated movie based on the song. It was released by the National Film Board of Canada in 1988, and was nominated for an Academy Award. It's hilarious! Are you a cat lover - or not? Either way, you can enjoy this song! Cat lovers will cheer for the cat and will rejoice in his victories. Non-cat lovers will empathize with Mr. Johnson and will appreciate his inventive attempts to solve his dilemma. 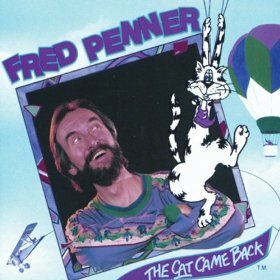 Now that you know The Cat Came Back lyrics, look here for more songs to sing around the campfire. Visit The Camping Family home page for help planning your next camping trip.